ATTENTION All Cinema4D Users! If you animate Minecraft, there's a good change you've heard of the FMR 5.0 rig by xifrost21. 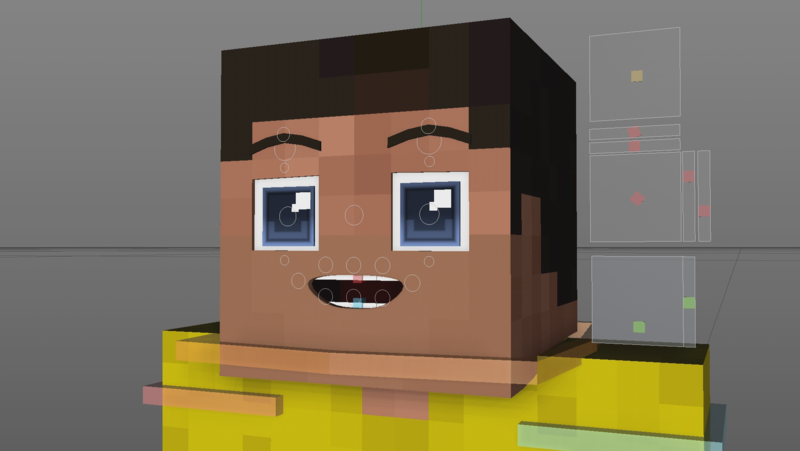 The FMR 5.0 rig is by far the best free rig (or any rig) for Cinema4D, that being said, it's way outdated. This Updated, FREE, FMR 5.2 (Animate) rig is built for the animator, filled with features for Animation. The rig will be available for free next week. I'm currently going throw and squashing out any remaining bugs, also putting the rig to the test myself by using them in animations.